Freedom and Flourishing: Does libertarianism rest on rational actor assumptions? Does libertarianism rest on rational actor assumptions? ‘The assumption that agents are rational provides the intellectual foundation for the libertarian approach to public policy: do not interfere with the individual’s right to choose, unless the choices harm others’ – Daniel Kahneman, ‘Thinking Fast and Slow’, Penguin, 2011. I feel as though I am being somewhat churlish in protesting about Kahneman’s comments on libertarianism, which amount to only a few pages near the end of a 400 page book. 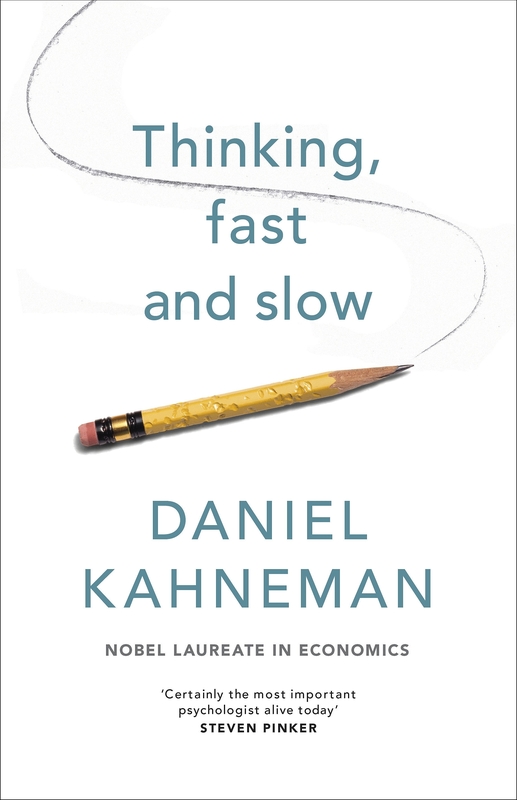 In my view Kahneman’s book deserves high praise and it has indeed been widely praised (for example, even in a post on his blog by David Friedman, who describes himself as an anarchist-anachronist-economist). Having thought slowly about the matter, however, it seems to me that it is important to try to prevent paternalists from getting a free kick from the reasoning that Kahneman develops in this book. Much of Kahneman’s book is a discussion of research findings relating to biases in intuitive thinking. The view presented is that intuitive thinking (fast thinking) tends to be much more influential than we realize – it is responsible for many of the choices and judgements that we make. The confidence we have in our intuitions is usually justified, but they can lead us badly astray on issues that require deliberation (slow thinking). For example, most people have particular difficulty in making judgements that require an understanding of probabilities. Kahneman is not optimistic that people can easily learn to recognize when they are in a cognitive minefield in which they need to slow down and question their intuitions. When people feel the stress of having to make a big decision, more doubt is likely to be the last thing they want. My intuitions tell me that Kahneman may be too pessimistic about our ability to recognize when we are about to enter a cognitive minefield. It seems to me that many people have developed emotional systems that provide ample warnings when they are about to enter cognitive minefields. Since I am feeling such warning signals right now, however, my intuitions about this could well be wrong. I should confine my remarks to matters about which I can write with some confidence. ‘Classical arguments for libertarianism do not assume that adults never make mistakes, always know their interests, or even are able always to act on their interests when they know them. Rather, it assumes that adults very typically know their own interests better than government officials, professors, or anyone else ... . In addition, the classical libertarian case partly rests on a presumption that being able to make mistakes through having the right to make one's own choices leads in the long run to more self-reliant, competent, and independent individuals. It has been observed, for example, that prisoners often lose the ability to make choices for themselves after spending many years in prison where life is rigidly regulated. In effect, the libertarian claim is that the "process" of making choices leads to individuals who are more capable of making good choices’. ‘If social phenomena are too complex for any of us to understand, and if individuals consistently overestimate their knowledge of these phenomena, then prudence would dictate trying to find institutional arrangements that minimize the potential risks and costs that any individual can impose on society through his own ignorance. To me, this is an argument for limited government. Instead of using government to consciously impose an institutional structure based on the maps of cognitively impaired individuals, I would prefer to see institutions evolve through a trial-and-error process. People can be “nudged” by all manner of social and religious customs. I would hope that the better norms and customs would tend to survive in a competitive environment. This was Hayek's view of the evolution of language, morals, common law, and other forms of what he called spontaneous order. In contrast, counting on government officials to provide the right nudges strikes me as a recipe for institutional fragility. If Kahneman is correct that we have “an almost unlimited ability to ignore our own ignorance,” then all of us are prone to mistakes. We need institutions that attempt to protect us from ourselves, but we also need institutions that protect us from one another. Limited government is one such institution’ (‘The PoliticalImplications of Ignoring Our Own Ignorance’, The American, December 2011). It is also worth noting that we do not have to choose between relying on our own individual thinking processes and relying on governments to guide us. In those areas of decision-making where we may not be able to rely on our intuitions and deliberations we have family, friends, representatives of voluntary organizations of various kinds and paid professionals who may be willing to act as our advisers or our agents (as well as the social norms and customs mentioned by Kling). If I need an agent to make decisions for me, it seems to me to be preferable to appoint one to act as my servant than to appoint one to act as my master. Finally, we should also recognize that when governments make paternalistic laws to criminalize stupidity they don't necessarily stop people from behaving stupidly. They may just add to the problems of the people they are trying to help. Labels: Autonomy and responsibility, Frames and beliefs, Identity, Rationality of behaviour, Rationality of voters, Why freedom?